We've seen some pretty excellent pranks in the past. Whether it was by text or a prank that will probably drive a family apart. But none quite compete with the prank that Twitter user Samuel Annis has been playing on his sister for the past few days. It's the type of prank siblings were put on this earth to pull. 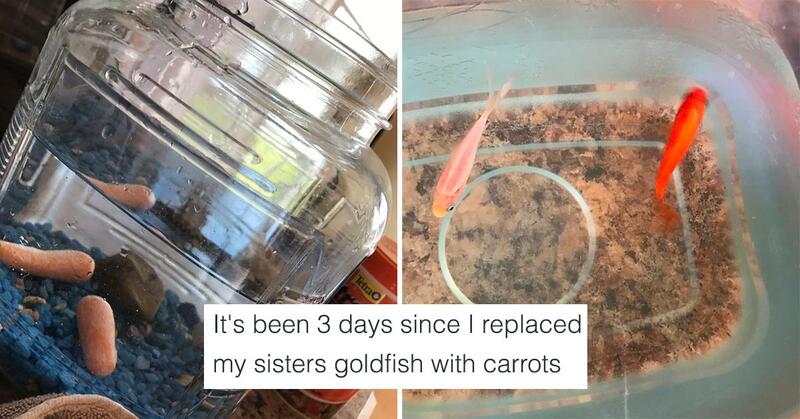 He decided to replace her goldfish with carrots to see how long it would take her to notice. So far, she hasn't. And it's been a few days. But don't worry, the fish are safe. Annis assured concerned Twitter users that he's taking good care of the goldfish in his own tank. They're currently enjoying the company of Spongebob, an active volcano, and a tiki sculpture. 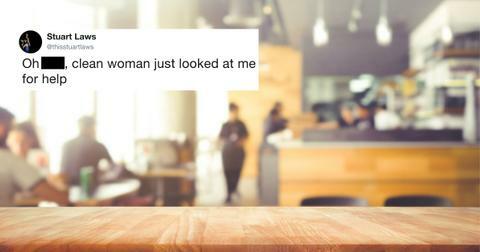 Other commenters wondered if the sister even cared at all. Doesn't she find it weird that her fish are consistently resting at the bottom of their tank? Others didn't even notice the tank and found the whole thing straight up hysterical. Annis' initial post has over 70,000 retweets and 200,000 likes. 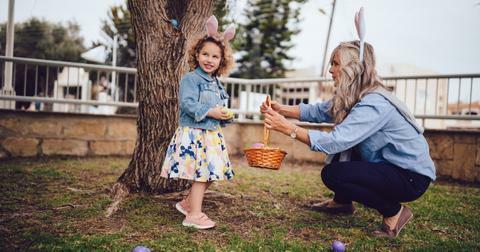 He even caught the attention of the TODAY Show, where the anchors laughed about his prank on air and wondered whether the sister would finally notice the swap now that her goldfish had appeared on national television.